Sunday, August 20, 2017, at 4 pm. The nine-foot, 1907 Blüthner concert grand piano can produce the most ethereal pianississimo in response to the player’s touch, without the soft pedal. Melodies emerge in layers, through a mist, without obscuring one another. Debussy’s own piano for the last thirteen years of his life was a smaller Blüthner grand, made in 1904, which he purchased in 1905. Elaine Greenfield’s recording of all of the Préludes, Books I and II, is on this piano. The 1893 Erard, the same model as composer Maurice Ravel’s own studio piano, while smaller than a full-size concert grand, has plenty of tone for a modest size concert venue. It is parallel-strung, with a composite iron frame, built at a time when several makers’ pianos were adopting Steinway’s crossed-over bass strings and single-piece cast iron frame ideas. Erard pianos are known for their liquid clarity, from the lowest notes to their sparkling trebles. Perhaps their tone explains why so many compositions by Mendelssohn, Chopin, Liszt, and the French Impressionists referenced water. This liquid quality is very present in Ravel’s musical depiction of Ondine, the water sprite, from his suite, Gaspard de la nuit, and his Jeux d’eau (fountains); in Debussy’s Poissons d’or (Goldfish), and Jardins sous la pluie (Gardens in the Rain); and Liszt’s Jeux d’eau à la Villa d’Este (Fountains at the Villa d’Este), among others. The Frederick Collection includes seven Erard pianos, a make prized by composer/pianists throughout the 19th century, well into the 20th. While the 1877 Bösendorfer looks similar to the Frederick Collection’s Streicher piano of 1871, this Bösendorfer piano shows how two leading makers, working in basically the same style but with different variables, produced instruments that sounded significantly different from one another. This Bösendorfer, with its seven octave range, AAA to a4, has a sweet, lingering tone that seems to continue forever when the dampers are lifted. It has less of the warm, woody tone of the Streicher. The piano came from a house on Vienna’s Ringstrasse (advertised to tourists as “The most beautiful boulevard in the world”). Its prosperous owners appear to have purchased the piano because of what it represented culturally, not so much for making music. When obtained by the Fredericks in 1986, the piano showed little or no signs of wear on its keys or hammers. Composer/pianists Brahms and Liszt were playing both Streicher and Bösendorfer pianos at the time. The 1840 Erard piano has distinctive, contrasting registers; the bass is clear and robust; the high treble, exquisitely delicate, suggestive of small icicles or the little crystal pendants on a chandelier. Chopin played pianos by both Pleyel and Erard in Paris, although he favored Pleyel. Liszt preferred Erard pianos for concert use, due to their bigger, more dramatic tone. The c.1805-1810 Katholnig piano, with its six octave range, FF to f 4, shows how quickly pianos at this time were growing larger and louder. It represents the last kind of piano tone Beethoven would have been able to hear clearly as his deafness worsened. Like the “Unsigned” piano, c.1795, it has ebony natural keys, and white sharps. Purchased from Count Manfred von Schönborn, whose wife was an Eszterházy, this piano is reputed to have been part of the entailed estate at the Eszterházy palace at Eisenstadt. It was almost certainly played by composer-pianist Hummel (former child prodigy pupil of Mozart and of Clementi), court music master there from 1804 to 1811, as successor to Haydn. Hummel may even have chosen the piano at the shop. The Katholnig piano’s four wooden pedals are, left to right, una corda, bassoon stop, moderator, and damper. The “bassoon” stop placed paper against the bass strings for a buzzing effect in a kind of popular music. (It has been temporarily removed.) The moderator works like the one on the “Unsigned” piano, c.1795. The Historical Piano Study Center, 30 Main Street, Ashburnham, MA, 01430. The building is wheelchair accessible. Daesik Cha, a native of South Korea, has been establishing himself as a ‘renaissance’ musician, whose professional work encompasses concertizing, directing, teaching, and music scholarship. He has appeared as a pianist in several prominent concerts across continents. In US, he was featured as a chamber music player with the Irving Fine Society at Harvard’s Sanders Theater, and celebrated as a soloist the Franz Liszt bicentennial at Brandeis University. In addition, he has been invited several times as a musical artist to the Covington Art Club in KY, giving lectures and recitals. Recently he performed chamber music at one of MIT ‘s Emerson recitals, and gave a previous benefit “House Concert” recital on four pianos from different periods for the Frederick Historical Piano Study Center. His organ/piano recital at the Historical Shirley Meeting House was shown on a local TV channel. As well as numerous concerts in his native Korea, he performed several recitals as a guest pianist at the 2007 Lucca Opera Festival in Italy, and in 2000 he was honored to give a solo recital at the Bechstein hall in the master musician series of Bilthoven, Holland. Earlier in his career he had an opportunity to give a concert tour in Europe with the Dutch tenor Wil van Leysen. Recently he finished his PhD dissertation on the topic of “Transformation of the Keyboard Fantasia in the Classical Period (1780–1800).” His scholarly interests include the German instrumental aesthetics and literature of the Classical and Romantic eras, and Renaissance vocal polyphony. He taught at Brandeis University as a teaching fellow, and is currently teaching and working as a music instructor and staff pianist at MIT. 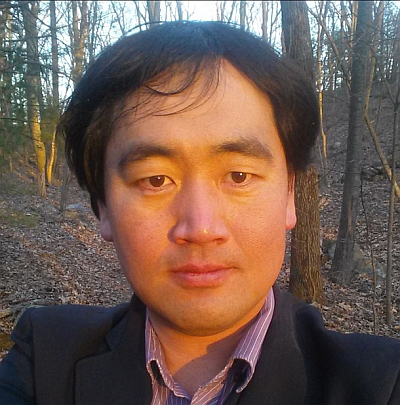 He also has numerous private piano pupils in the Boston area. He holds a PhD degree in musicology from Brandeis University and two Master degrees, in music history and literature, and in piano performance. 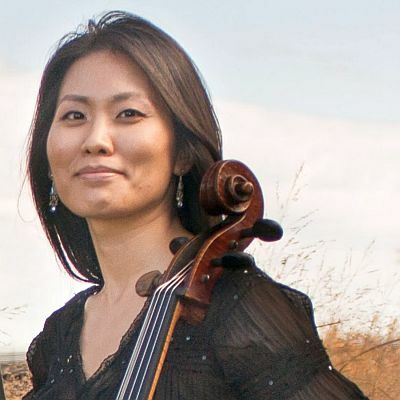 Cherry Kim is a cellist recognized for her heartfelt musicianship and artistry. After five years of study and winning several competitions, she gave her solo debut performing the Schumann Cello Concerto with the Plano Symphony Orchestra in 2000. Other solo appearances include performing the Haydn C major Concerto with the Cathedral Bluffs Symphony Orchestra and the Dvorak Concerto with Fall River Symphony. Other performance highlights include the New England premiere of Callender’s Metamorphoses for cello and electronics for Boston New Music Initiative, soundtrack recording for the Underground Railway Theater, collaboration with renowned violinist Cho-Liang Lin, and performance with the Artists of the Royal Conservatory Ensemble which was broadcasted nationwide in Canada. As a recitalist and chamber musician, she has performed throughout the United States, Canada, China, and Ukraine. Her playing balances intellect, passion, soulful lyricism, imagination and musical styles. Cherry holds degrees from the New England Conservatory (BM), Glenn Gould School of the Royal Conservatory of Music (PD), Rice University (MM), Longy School of Music of Bard College (GD), and Boston University (DMA). Her principal teachers were world-renowned cellists and pedagogues Laurence Lesser, Norman Fischer, Michael Reynolds, Terry King, and Bryan Epperson. She has participated in prestigious festivals such as the Tanglewood Music Festival, Park City International Music Festival, Orford Festival, and Westben Music Festival. Other world-renowned musicians she has worked with include Richard Aaron, James Dunham, Timothy Eddy, Michael Haber, Steven Isserlis, Truls Mørk, Paul Katz, Janos Starker, Torleif Thedeen, Tsuyoshi Tsutsumi, Pheobe Carrai, Sarah Freiberg Ellison, Jean Lamon, the Emerson, Tokyo, Borromeo, Orion, and Muir String Quartets. Currently, Cherry performs with the Gioia Duo, which she co-founded in 2015. She also performs with the Vermont Symphony Orchestra, Symphony New Hampshire, and Atlantic Symphony Orchestra. As a teacher, she serves as faculty at the Maestro Musicians Academy and Brookline Public Schools, and her students have participated in the Massachusetts All-region and All-state orchestras. As a visual artist her works have won several prizes and one piece was exhibited at the Dallas Museum of Art. You will find her web site on WIX. We thank Dr. Kim for donating this performance. 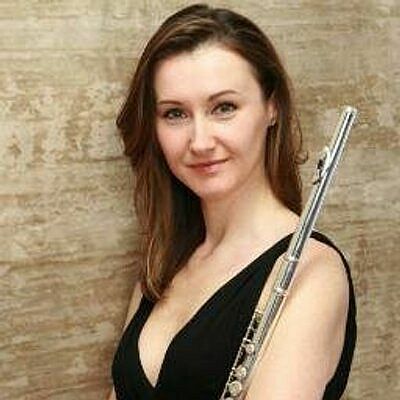 A native of Poland, Dr. Elżbieta Brandys is described as a flutist, musician, and artist “who is able to uniquely meld elegant tone, artistic sensibility and a solid mastery of technique.” She gives recitals internationally, and performs with the South Florida Symphony Orchestra, Boston Lyric Opera, Boston Landmarks Orchestra, Atlantic Symphony Orchestra, Orchestra of Indian Hill, Freisinger Chamber Orchestra, Claflin Hill Symphony, Cape Ann Symphony, Marsh Chapel Collegium, and the Cantata Singers. Performance venues include Carnegie Hall’s Weill Recital Hall and Town Hall, the Kennedy Center, Boston’s Symphony Hall, and Meyerson Symphony Center in Dallas. After graduating from the Music Lyceum in Tarnów, Poland, Elżbieta received her Bachelor of Music from Southern Methodist University, Dallas, Texas. She received her Graduate Performance Diploma and Masters degree from The Boston Conservatory. In 2013, Dr. Brandys received her Doctor of Musical Arts from Boston University, College of Fine Arts. In addition, she attended the Accademia Musicale Chigiana in Siena, Italy, where she studied with renowned flutist, Patrick Gallois. Dr. Brandys has won first prize in Chamber Music Foundation’s International Ensemble Competition, among others. The Saint Botolph Club Foundation in Boston, MA awarded Elzbieta with 2008 Emerging Artist Award. In 2011 Dr. Brandys achieved an honor and invitation of becoming a member of the national music honor society, Pi Kappa Lambda. A devoted and passionate teacher, Elżbieta is on the faculty at the Winchester Community Music School, Concord Conservatory of Music, All Newton Music School, Winchester Community Music School, and Arlington Instrumental/Vocal Music School. Summers, Dr. Brandys teaches and performs at Camp Encore/Coda in Sweden, Maine. To read more about Dr. Brandys, please visit www.elzbietabrandys.com. Many thanks to Dr. Brandys for donating this performance. Our House Concerts are fundraising events, to help defray such annual expenses as replacing slate tiles on the roof, insuring the pianos, etc. Admission to the concerts is by freewill donation. Any amount is most welcome, and all donations to our 501(c)(3) organization, Historical Piano Concerts, Inc., are fully tax-deductible, and will be acknowledged in writing for your tax records. Seating is very limited, and announcements are sometimes on very short notice. If you are interested in attending (or simply being informed by email about) an upcoming house concert it is necessary to contact the Fredericks by phone or email. See the Contact Page for details.